This cabinet card portrait features four Indian men posing for their portrait at the Holland studio in Boston, Massachusetts. These visitors are wearing their traditional clothing, including turbans. At least one of the men is barefoot. One of the men is holding a paper while another is holding a book. Could it be a prayer book? These men may be Sikhs. 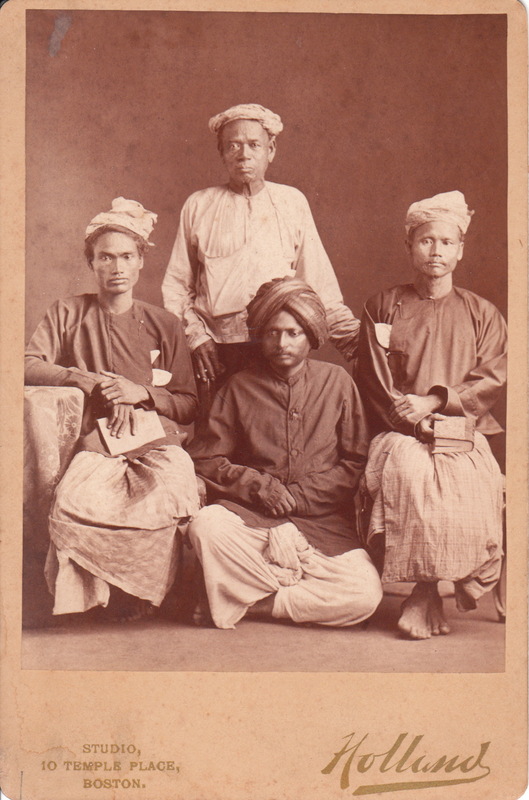 The previous owner of this photograph suggested that the seated men are Sikhs and the other two men are Burmese attendants. 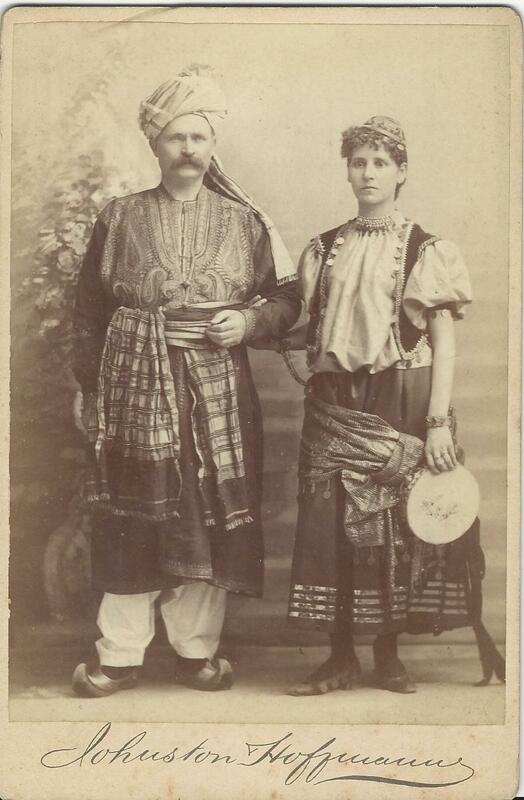 Hopefully, someone from the cabinet card gallery’s vast unpaid research department will be able to specify the ethnicity of the subjects of this photograph. It is is interesting to note that the photographer’s studio is located on Temple Place. Could there be a Hindu temple nearby? The photographer of this terrific image is Henry F. Holland (1853?-1911?). He entered the world of Boston photography when he became a partner with George P. Roberts in 1886. Their studio was located at 10 Temple Place (the same address as this image). The partners designed their own back drops and their studio was a great success; at one time employing 25 people. The gallery was advertised as “the finest studio in New England” and Holland’s business motto was “Realism in Photography”. Apparently Holland should have practiced realism in business because the gallery eventually went bankrupt. Speculation is that a poor investment in a printing business led to the collapse of Holland’s studio. His partner, Mr. Roberts, left the firm in 1888, two years before the bankruptcy. Holland was buoyant and by 1891 had established a new photography studio called “Ye Holland Studio” which he opened on Washington Street in Boston. He soon left the studio for his son’s Tom and C. E. to manage. Holland than entered business in another field for which he had much passion. He formed the Freeman-Holland Company and became involved in the electricity business. He became the local general manager of the National Electrical Manufacturing Company. He also combined his interest photography and technology by becoming a photographer of industrial equipment. It is not the quality of the image that makes this photograph special. This is a unique photograph because of the identity of the subject. Meet Dr. Anna S. Kugler. 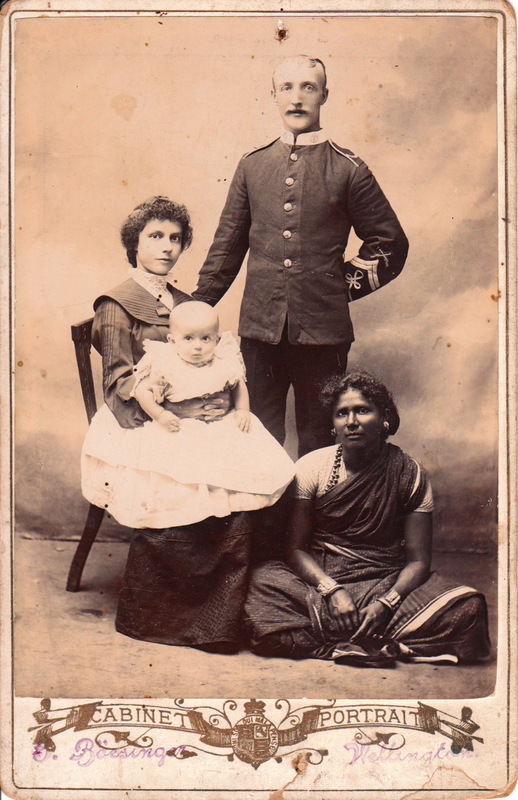 Anna Sarah Kugler (1856-1930) provided 47 years of service ministering to the spiritual and physical health of the people of southern India. She was the second female missionary and the first female medical missionary sent by the General Synod of the Evangelical Lutheran Church of the United States. She was born in Ardmore, Pennsylvania in 1856. In 1879 she graduated from Women’s Medical College in Philadelphia. 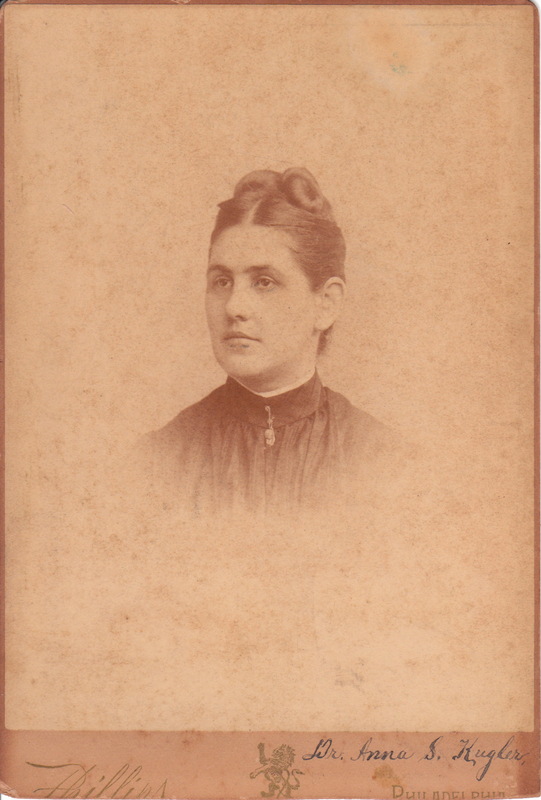 She did her internship at Norristown State Asylum in 1880. Two years later, after receiving a cleric’s invitation to come work in India to help resolve the major health issues faced by poor Indian women, Kugler decided to take on the challenge. She sailed for India in 1883 and was disappointed that her appointment as a missionary was directed at teaching, not providing medical care. She hoped to change the church’s mind on that matter. During her first year in India she found time to see over 400 patients and still take care of her teaching responsibilities of the Muslim harem women. In 1884 she became the director of the Hindu Girls School, a post she kept for three years. Finally, in 1885, she was appointed a medical missionary. In 1893 she opened a hospital and dispensary in Guntur, India. Over time she established specialized pediatric, maternity, and surgical units in the hospital. After Kugler’s death, the hospital was named after her. Have you heard this quote? “Well behaved women seldom make history”. Women who went to medical school in the 1870’s were likely not considered well behaved because they were entering into a man’s profession. Going to India and working with the poor was also probably seen as outside the realm of being a woman. Thank goodness Dr Anna S Kugler ignored gender boundaries because she accomplished great things and certainly “made history”. This photograph was produced by the Phillips studio in Philadelphia, Pennsylvania. To view other photographs by Mr. Phillips, click on the category “Photographer: Phillips”. Phillip’s subjects among his images in the Cabinet Card Gallery include theater great, Ethel Barrymore. At the time of this photograph, Phillips operated his studio at 1206 Chestnut Street. A biographer called Henry C. Phillips (1843-1911) “A pillar of photography in Philadelphia”. He began working as a photographer while still in his teens. He opened his first studio on Chestnut Street in 1862. He partnered with Samuel Broadbent between 1868 and 1874. 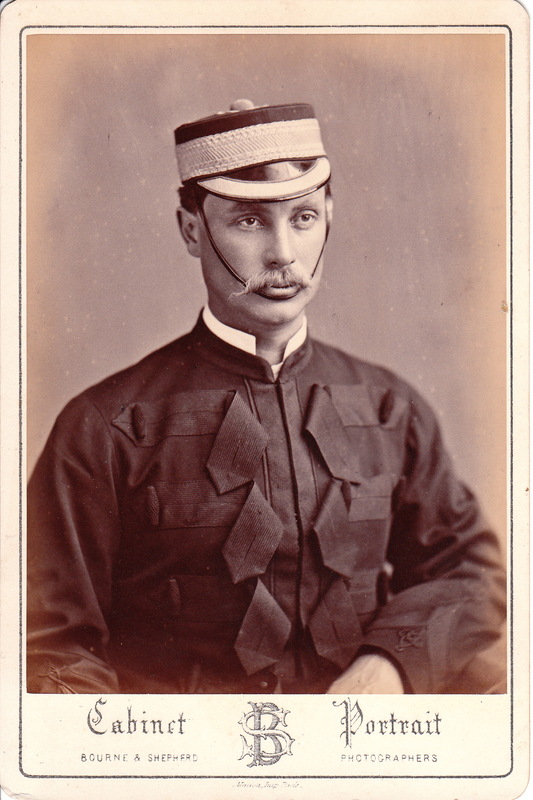 (To view other photographs by Broadbent, click on the category “Photographer: Broadbent). After that partnership and another brief one, he opened his 1206 Chestnut studio and it operated for 36 years under Henry and than his two sons, Howard and Ryland. Henry Phillips was a portrait artist and on the side, he was a celebrity photographer. He did not like to use painted backdrops in his portraits. He preferred to photograph faces and figures against neutral or blank backgrounds. Photographs from the studio that utilized painted backgrounds were usually the work of Ryland. S. Boesinger photographed this young family and their Indian servant at a studio in Tamil Nadu, India. To the right of Boesinger’s name on the bottom of the photograph is the name “Wellington”. Boesinger may have had a partner named Wellington, or perhaps had another studio in Wellington, England. The gentleman in this image appears to be a member of the British military. Note the servants jewelry. She is wearing a necklace, earrings and wide bracelets. She is also wearing nose ring. She was clearly a pioneer in nose jewelry, a practice which has made a comeback in present day times. 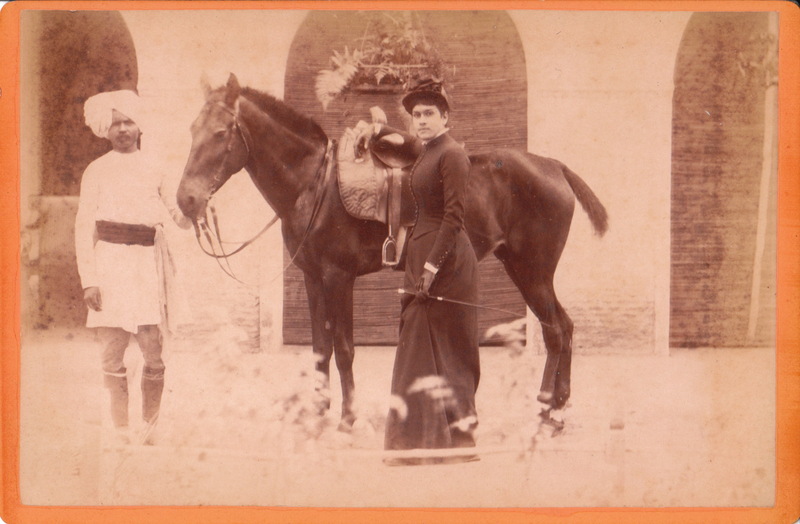 A woman in her riding habit and holding a riding crop, poses with her horse and servant. The servant is wearing a turban and holding the bridle of the lady’s mount. It is likely that this photograph was taken in India. The subjects and the photographer are unidentified. 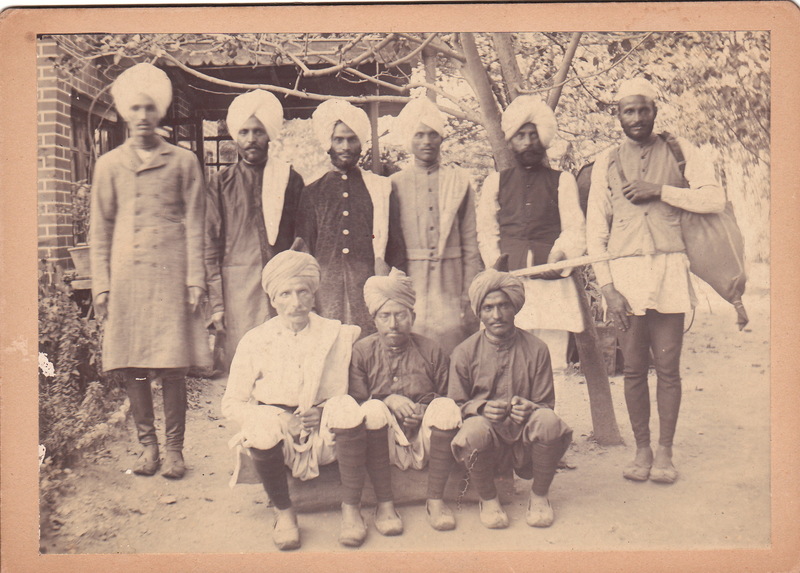 This photograph features a portrait of a group of men, dressed in ethnic clothing (including turbans), and posing in an unidentified country. It is most likely that the location of this group photo is the nation of India. This portrait raises a number of questions on issues besides location. What is the man standing on the right side of the back row carrying in the bag hung over his shoulder? The man next to the man with the bag appears to be holding the bag man’s belt. Why is he holding the belt? There is a brick building behind the men. Is the building a business, a home, or an embassy? Are these men about to embark on a trip? Are they part of a work crew? The answer to these questions elude us but the mystery is part of what makes this photograph interesting to view.